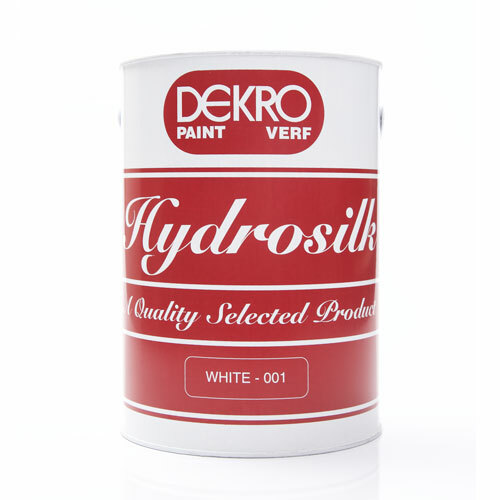 Dekro Hydrosilk is an adhesion promoted plastic satin finish pure acrylic coating. 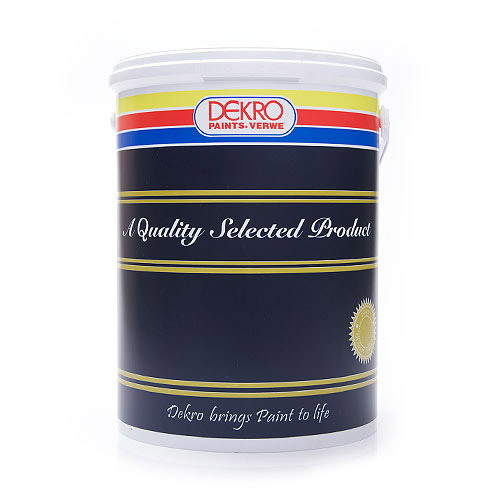 Dekro Hydrosilk has outstanding interior/exterior durability and is stain and scrub resistant. This low sheen coating is non-yellowing and has anti-bacterial, fast drying and over coating properties. 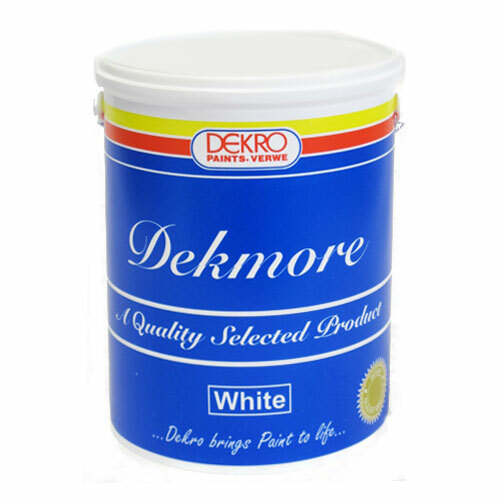 Dekro Hydrosilk is low in odour and non toxic, non irritant if standard painting conditions and code of painting practice is adhered to. Outstanding interior and exterior durability. Fast drying and over coating properties. Water based – therefore all equipment can be cleaned with water. Very low odour. 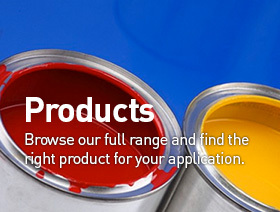 Non toxic and non irritant if standard painting conditions and code of painting practice is adhered to. Remove dust, dirt and plaster splashes. Open large cracks and imperfections. Fill with Coprox and sand smooth when dry. Apply one coat of Dekrolite Masonry Primer. Metal Surfaces – Iron, Cast Iron; Galvanised Iron. Loose surface rust must be removed by wire brushing. Prime with an appropriate metal primer. Apply one coat of Hydrobond 44 and allow to dry for one hour before applying a second coat of Hydrobond 44. Allow to dry for minimum of 8 hours before overcoating. Apply two coats of Hydrosilk, allowing at least 4 hours drying time between coats. New galvanised iron surfaces must be cleaned to a water break- free surface with Galv-o-Clean or Galv-etch., then rinsed with water. Prime Galvanised Iron with Vasbyt Etch Primer. Prime Mild Steel with Ultra Q.D. Zinc Phosphate Primer. Clean to remove dirt, grease and dust. 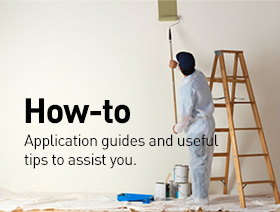 Sandpaper to a smooth surface and dust off. 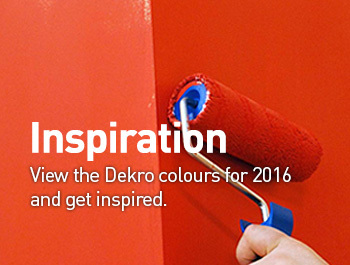 Apply one coat of Dekro Pink Wood Primer and allow to dry or Dekro Universal Undercoat. Wash down with water or detergent to remove all dirt, grease and other contaminants. Cut out large cracks and imperfections, fill with a suitable filler and sand smooth when dry. Sand gloss paint surfaces to a matt finish, then rinse with water and allow to dry, apply Universal Undercoat and allow to dry. Apply one or two coats of Hydrosilk – depending on condition of surface and quality of finish required. Remove completely by scraping, wire brushing, hydro-blasting, burning or paint remover to bare sound surface. Stop and fill all large cracks and imperfections with a suitable filler. Allow to dry and sand smooth when dry. Apply one coat of Dekrolite Masonry Primer. Allow to dry. Highly recommended finishing paint for interior and exterior surfaces. Outstanding finishes obtained on new plaster, skimmed plaster (cretestone), asbestos cement, composition board, brickwork including facebrick, previously painted surfaces in sound condition, including surfaces of High Gloss Enamel, P.V.A. and Acrylic paint. Highly recommended for all above surfaces where outstanding adhesion, alkali resistance and water resistance is required. 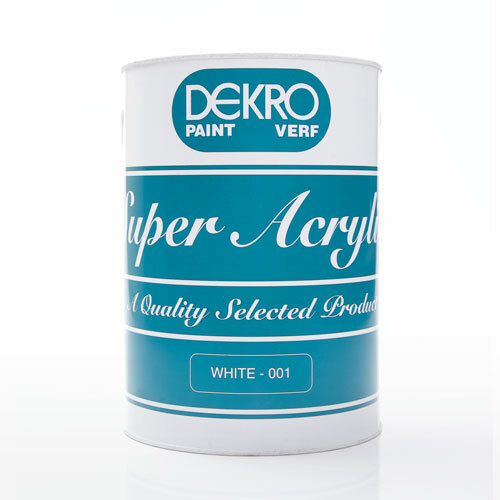 Type – A 100% adhesion promoted pure acrylic. Drying Time – Surface : 1 hour (at 25°C and 50% relative humidity). 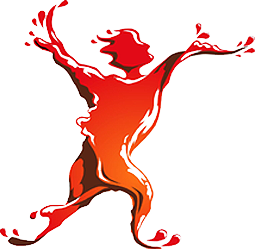 Hard Dry 3 – 4 hours (at 25°C and 50% relative humidity). Flash Point – Not applicable. Colour Range – White, range of standard colours as per current colour card. Tints also available to obtain hundred of colours. Packing size – 1 litre, 5 litre, 20 litre. Shelf life – 1 year under correct storage conditions. All above technical data is based on Hydrosilk White. Coverage / spreading rate of colours depend on condition and porosity of the surface and the manner in which Hydrosilk is applied and used. To ensure consistent appearance ensure that the batch numbers on all containers used are the same. Where batch numbers on containers differ, intermix before use. Do not apply direct to new galvanised iron, sand blasted steel or aluminium. Do not apply directly to untreated knots. For diluting use water only, if required. Do not use Mineral Turpentine, Lacquer Thinner or Meths for diluting as this will alter or destroy the quality and performance of Hydrosilk.